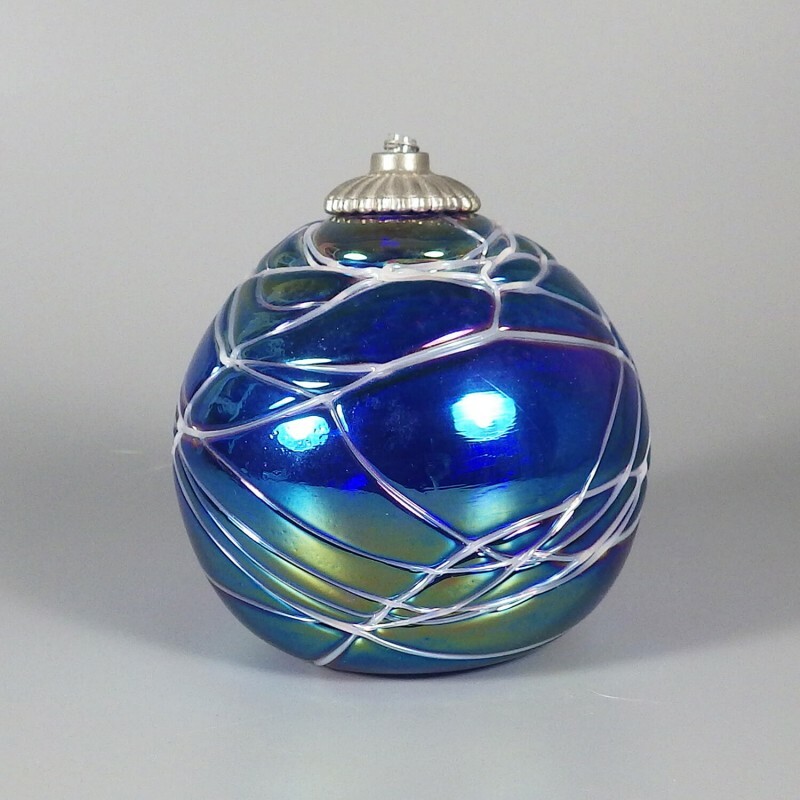 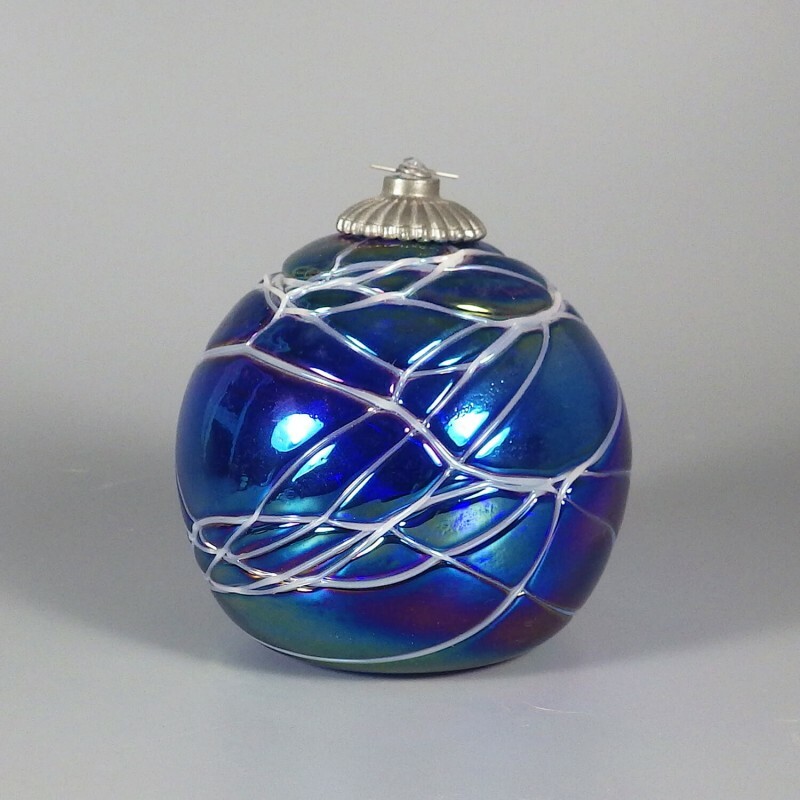 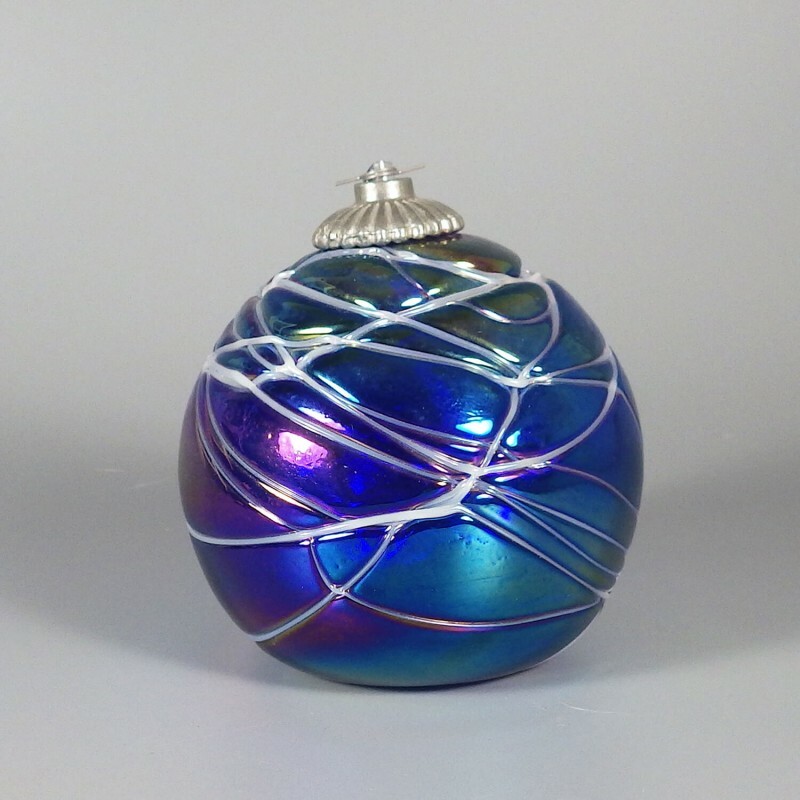 Hand blown art glass ball oil lamp from the late Gary Levi of Intaglio Art Glass Studio, this cobalt blue art glass oil lamp is decorated with a drizzling of creamy white threading and finished with a carnival iridescent treatment. 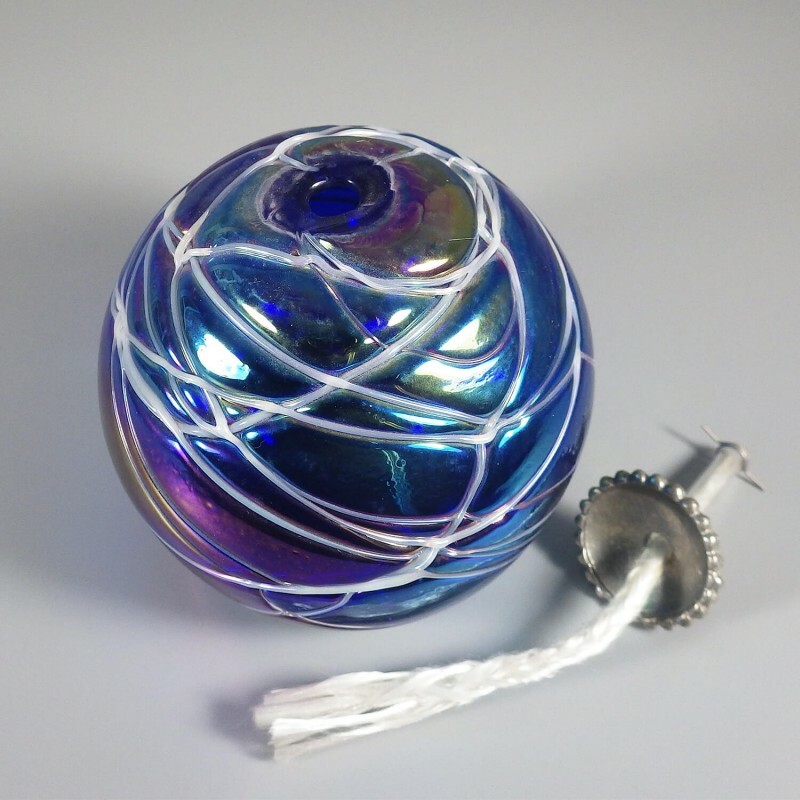 The globe has a ribbed metal top with a wick; all you need is the oil. 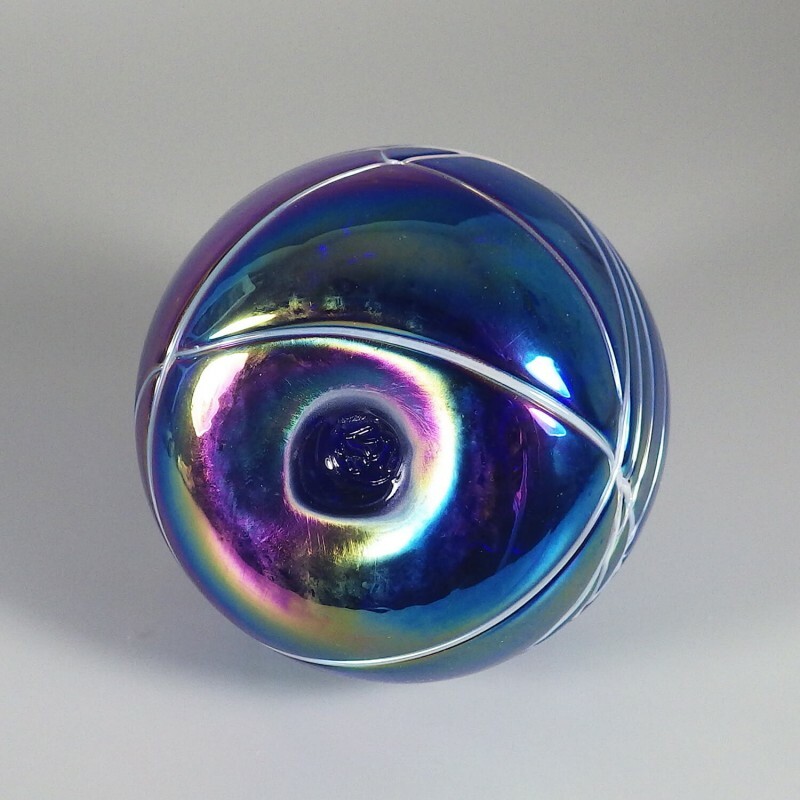 It is my understanding Fenton cullet was often purchased and used to make these glass creations. 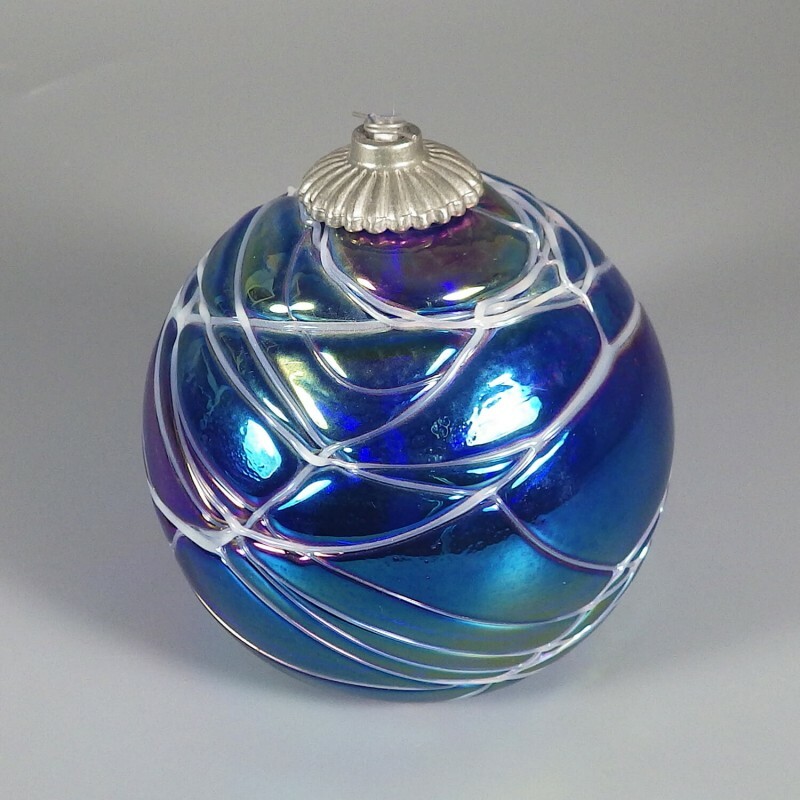 Glass globe measures approx. 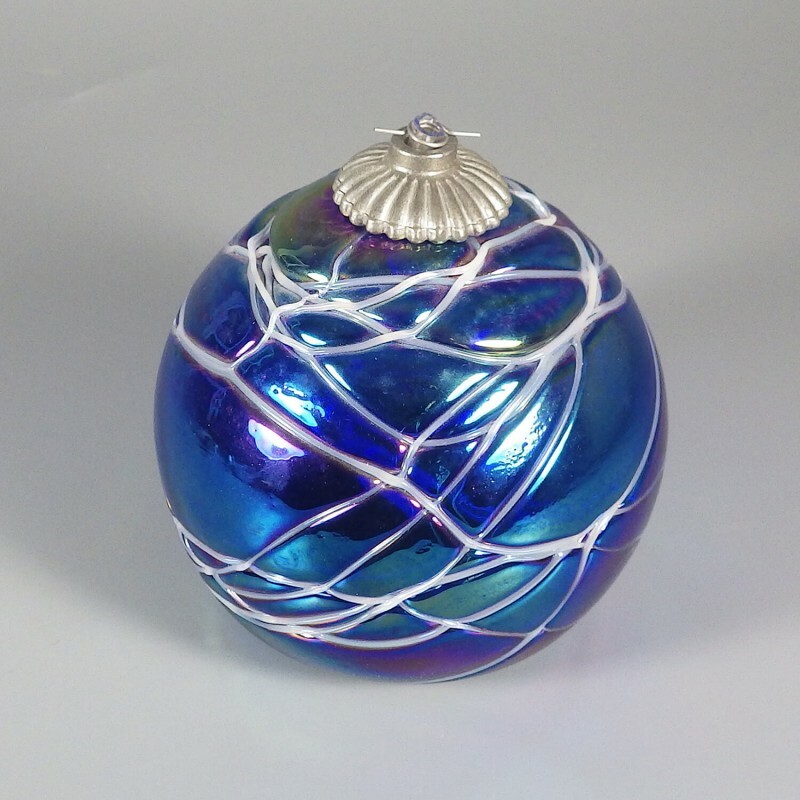 3-1/2 inch high, 4 inch in diameter, and is signed with the Levi stylized punty logo signature. 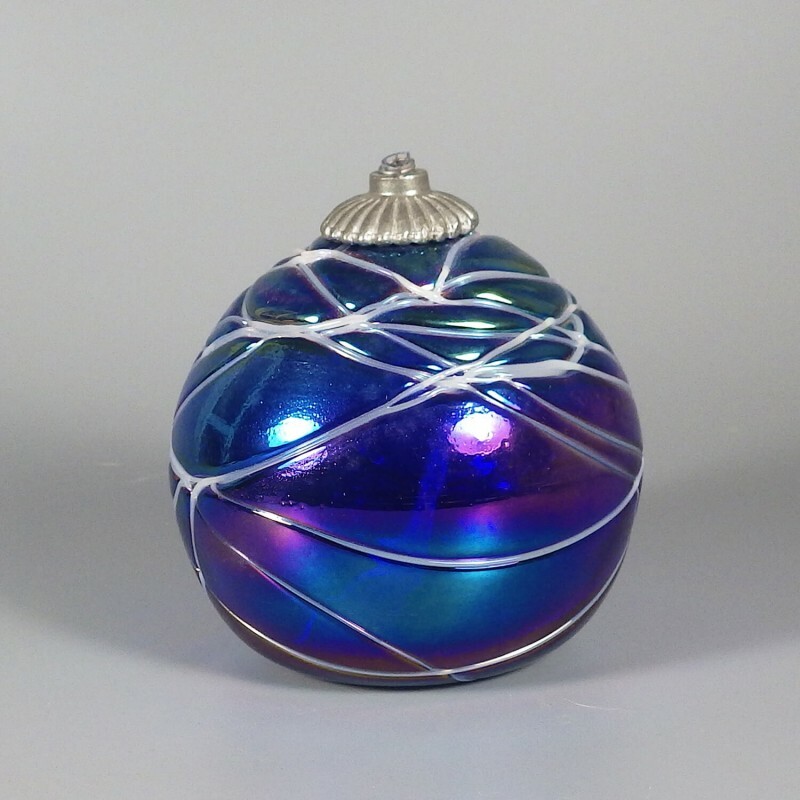 In excellent condition, with no nicks, chips, or cracks.